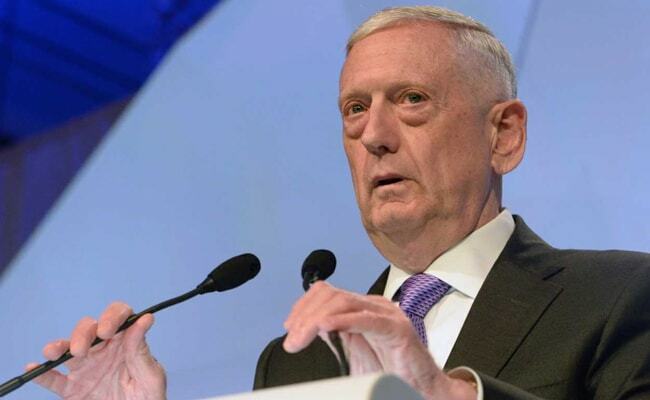 Washington, United States: US Pentagon chief Jim Mattis told lawmakers Monday he was "shocked" by the state of the US military's readiness, blaming legal budget caps and the grind of 16 years of constant war. The defense secretary also warned that North Korea has become the most urgent threat to peace and security, and said -- without giving details -- that America must do things differently in Afghanistan. Pointing to Obama-era budget caps known as sequestration, Mattis said limits on military spending have left troops at greater risk and blocked important new programs -- even though the defense budget is already greater than that of the next seven countries combined. "I retired from military service three months after sequestration took effect," Mattis, a former Marine general, told the House Armed Services Committee. "Four years later, I returned to the Department (of Defense), and I have been shocked by what I've seen about our readiness to fight... No enemy in the field has done more to harm the readiness of our military than sequestration." Mattis was addressing lawmakers seeking additional information about President Donald Trump's proposed 2018 budget. The Pentagon has called for $574 billion in general defense funding, with an additional $65 billion for supplemental wartime spending -- for a total of $639 billion. That represents a more than $50 billion increase -- about 10 percent -- over 2017 funding levels for the base budget, although it amounts to only about three percent over projections previously envisioned by the Obama administration. Committee Chairman Congressman Mac Thornberry and other Republicans bemoaned the increase as insufficient. "We have spent six years just getting by, asking more and more of those who serve, and putting off the choices that have to be made. We cannot keep piling missions on our service members without ensuring they have all they need to succeed," Thornberry said. Although many Democrats on the committee agree, they worry where the money will come from, given the Trump administration's pressure to cut taxes. Mattis pointed to the war in Afghanistan, which has dragged on since late 2001 with no end in sight, as exacting a heavy price. "Both Russia and China object to key aspects of the international order so painstakingly built since the end of World War II," he said. Pyongyang has test-fired a string of missiles this year, building on launches and nuclear tests that have ratcheted up tensions over its quest to develop weapons capable of hitting the United States -- something Trump has vowed "won't happen." But Mattis and his top military officer, General Joe Dunford, said any military action against North Korea would have disastrous consequences for the peninsula. "It would be a war like nothing we have seen since 1953," Mattis said about the end of the Korean War.